After the success of Nekketsu Koha Kunio-kun and Renegade, Yoshihisa Kishimoto of Technos Japan set about outdoing himself with Double Dragon. The resulting two-player brawler would go on to spawn multiple sequels and spin-offs, as well as influencing every game in the genre that came after it. Leon, James, Karl and Michiel start at the beginning and work their way through as far as Technos’ demise and Double Dragon Advance. Contributions from the forum flesh things out as we try to pay lip service to the myriad successful and unsuccessful ports. A second Double Dragon podcast – issue 285 – will focus on Double Dragon Neon (2012), Double Dragon II: The Wander of The Dragons (2013) and Double Dragon IV (2017). Cane and Rinse 271 was edited by Ryan Hamann (@InsrtCoins). I have a LOT of love for the Double Dragon Arcade game. As s child I was obsessed with it. The music is still incredible- Slum soundtrack is the most covered by Youtube musicians everywhere. I have a theory that ‘Billy Lee’ was intentionally/ Unintentionally modelled on actor William Zabka’s ‘Johnny’ from ‘Karate Kid’. I found the Elbow attack to be a risk free way to disarm enemies. And I LOVED how you can ‘Carry’ weapons from one stage to the next. There are rumours of using abobo to throw you up onto the platform Willy (End Boss) to take some cheap shots on him. 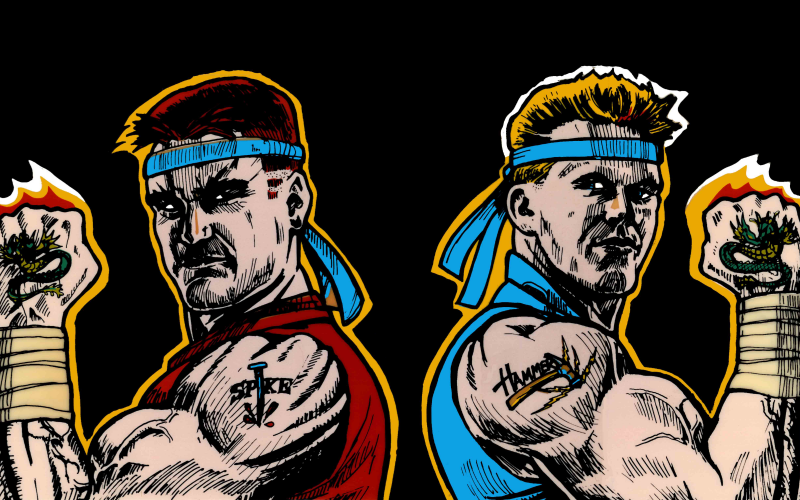 Double Dragon 2 – The Arcade Game – is the darker game in the Original Trilogy. Double Dragon 3 was just a huge disappointment. The NES version is the better game for me. Thanks for commenting and sharing your memories of the Double Dragon games, CheekyCrissy. The podcast recording was running long, so some commentary and factoids had to be cut. For example the part where we specifically tied every character name to ‘Enter the Dragon’ and Bruce Lee. The Lee brothers and Roper and Williams are a given, but Bolo/Abobo must refer to Bolo Yeung. Linda is, I suspect, named after Bruce Lee’s real life wife. Maybe clone character Jeff is a homage to Bruce Lee memorabilia super collector Jeff Chinn? I think only Willy and Marian are not connected.